New Joey Cape Video! Pre-order Stitch Puppy Now! Joey Cape’s brand new album Stitch Puppy, his first solo record in five years, comes out next week! 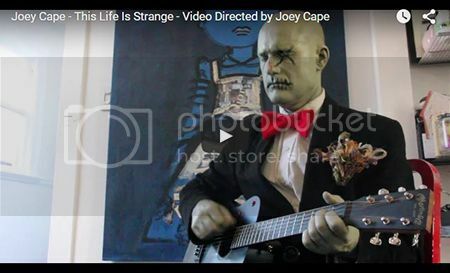 Today, head to Noisey to watch an incredibly creative video for “This Life Is Strange.” Produced, directed and edited by Joey himself and containing amazing stop-motion sequences by his daughter Violet, this video is a surreal glimpse into Stitch Puppy’s world. German fans watch here. Pre-order the album right now, also available in a limited edition t-shirt bundle.